Hello friends, 🙏Welcome to The Explorer Bro official website, Where we get awesome articles every day. Today I have brought an article about the United Arab Emirates (UAE). Dubai city is famous all over the world because of his wealth, fame and high-rise buildings have come to know some Rock facts from Dubai. 1. Dubai is the most populous city of UAE (United Arab Emirates). 2. Dubai's population is around 26 lakhs. 3. 85% of the people living in Dubai have come from abroad. 4. You may be scared but the Dubai Police has Kara like Lamborghini, Ferrari. 5. Dubai's existence also dates to 150 years before the formation of the UAE. 6. Dubai is the second largest emirate from UAE's seven emirates. 7. Dubai is the 22nd most expensive city in the world. 8. 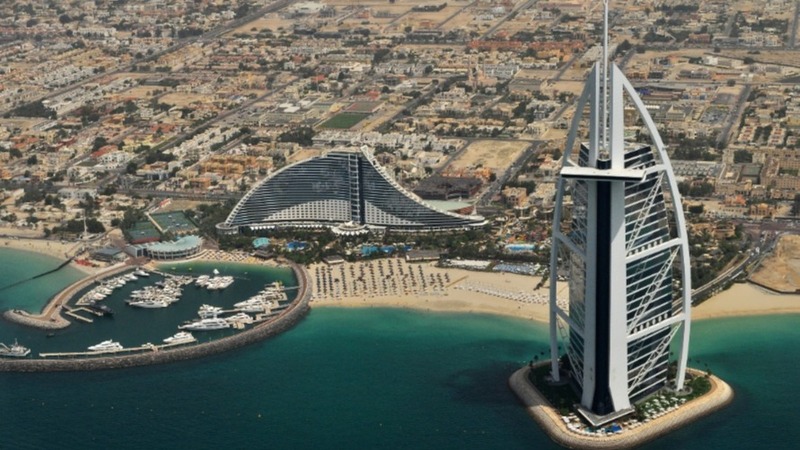 The rooms of Dubai's hotels are the second most expensive rooms in the world. 9. Burj Khalifa, the tallest building in the world, is also in Dubai. 10. There is no zip code, area code or postal system in Dubai. Everything here is online. 11. There are some ATMs in Dubai which also bring gold bars. 12. There is a golf course in Dubai which is given 4 lakh gallons of water every day. 13. Dubai took just 2 years to build a Metro system network. 14. Al-Maktoum Dynasty has ruled from Dubai since 1833. 15. Area of Dubai is approximately 4,114 square kilometers. 16. Dubai's GDP is close to $ 83 billion dollars, which is equivalent to a small country. 17. Per capita income in Dubai is about $ 24,800. 18. By 2020, Dubai will be the world's largest tourist destination. 19. People from Dubai follow lion and leopard more than dogs. 20. The ground is also at Sky Level for polo in Dubai. 21. Dubai Mall is the world's largest shopping center with more than 1200 stores. 22. Nearly 40% of the world's gold is traded from Dubai. 23. The crime rate in Dubai is 0%, due to the strict law there. 24. 50% of Dubai's population is Indian. 25. Cranes in 20% of the world's total building cranes are in Dubai. 26. No one has to pay taxes in Dubai. 27. Dubai is 1 of the safest cities in the world.